Lucky247 casino promotions have always been generous, but this month players are in for quite an extraordinary surprise. That’s because the casino is ready to present the lucky winner with a solid Gold bar valued at a massive £3,000. With such a big prize on the table, players should be highly motivated to sign up for the lucky247 casino GOLD RUSH promotion 2018. This is literally a golden opportunity for those who enjoy playing casino games at Lucky247. All you need to do is to opt in for this campaign and then start spinning the reels of the Gold Factory slot game. This month alone, you can hope to win a 100-gram solid Gold Bar, on top of the other bonuses that the casino offers. Make a deposit of 50 credits or more and you’ll receive an entry for the upcoming raffle. 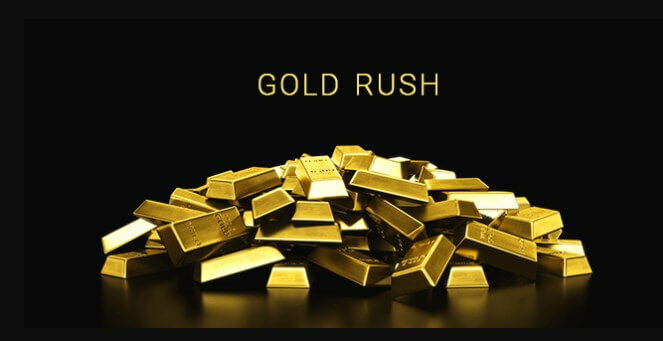 To improve the odds of winning the lucky247 casino GOLD RUSH promotion 2018 one should make successive deposits. There is no upper limit to the number of raffle tickets one can collect, so the more credits you deposit, the better the chances to win. The winner will be announced on May 4, so time is of the essence and there’s no reason to postpone enrollment. Start playing today!